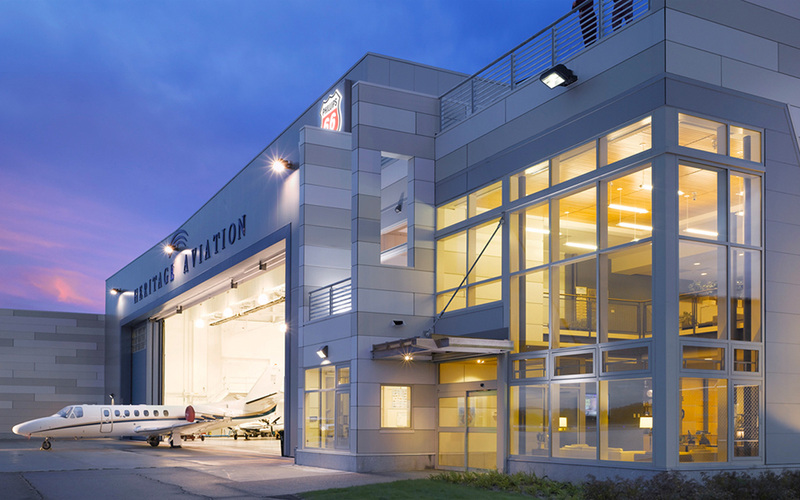 Heritage Flight Aviation operates an aircraft maintenance and charter airline service from their Aviation Support Hangar at the Burlington International Airport. 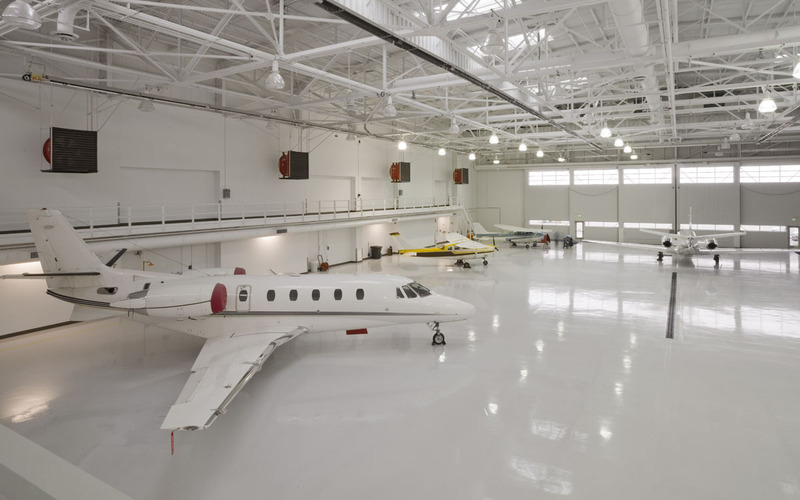 When looking to expand their airport campus, Heritage Flight turned to TruexCullins to transform a vacated 1955-era Air National Guard hangar into a new maintenance hangar and public terminal for general aviation. 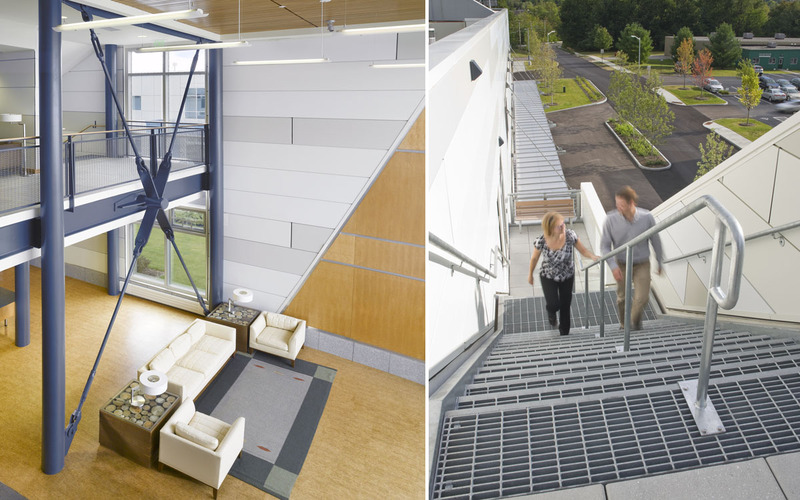 The existing 60,000 sq.ft. 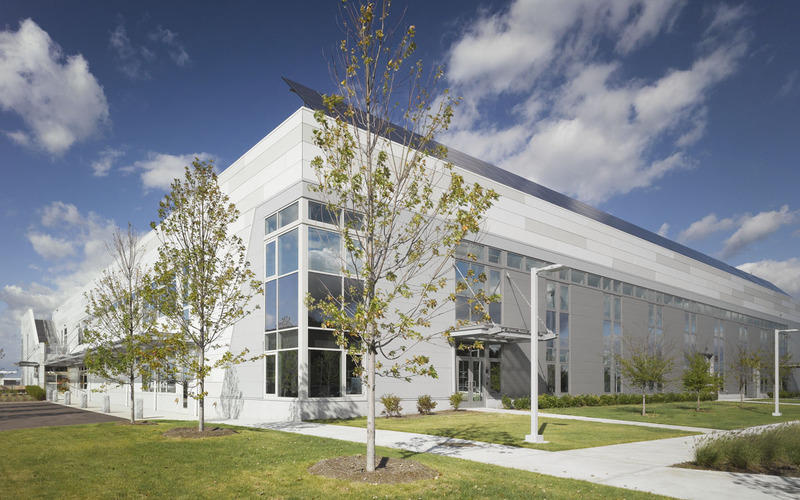 Army National Guard hangar was stripped of all exterior walls to the underlying steel and concrete structure and replaced with a high-performance building envelope. 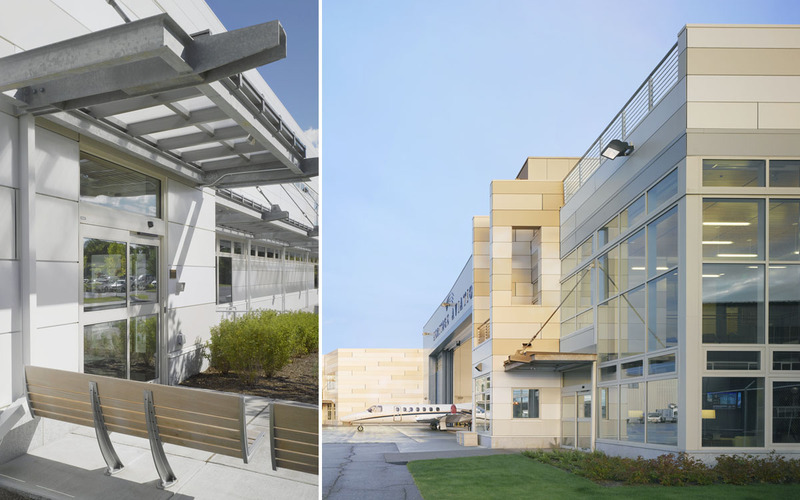 A 25-foot addition increased the size of the hangar space and includes a two-story passenger lobby with airport and landscape views. The building also houses a U.S. Port of Entry for the Customs and Border Protection Service and office space.